Editors Note: Two images are associated with this press release. Vera Water Solutions Inc., is pleased to announce that they have been selected as the exclusive water filtration supplier to Dunpar Homes. "Quality, integrity and efficient living are principles that Dunpar Homes lives by, and as such we strive to provide our clients with the highest-quality products for their homes. With Vera Water Solutions, we are confident that our clients are getting the best possible water filtration system. That is important to us, because our clients' well-being is important to us," says Julien Di Ciano, Dunpar Homes. Vera Water Solutions offers a healthy water filtration system that removes all harmful chemicals, heavy metals, viruses and bacteria, while keeping the essential minerals our bodies need in the water. Finally: A filtration system that delivers water as it was intended to be. "Water is vital to our overall well-being, but it has to be the right type of water! We are very excited that all Dunpar Home owners will now have direct access to the best drinking water. Clearly, Dunpar Homes puts the best interests of their clients first," says Christine Barisheff, Vera Water Solutions, Inc.
Dunpar Homes is founded on the concept of building great modern-day communities. By transforming under-utilized real estate into vibrant new residential communities, Dunpar Homes has breathed new life into some of Toronto's most charming yet overlooked neighbourhoods. Quality, integrity, revitalization, efficient living and contemporary design are the foundations Dunpar Homes was built on. Based in Toronto, Canada, Vera Water Solutions is dedicated to providing you and your family with healthy water solutions. Water is critical to our health and well-being; however, it is not enough to be drinking pure water, it has to be healthy water. Vera Water Solutions offers a unique triple-filter system that removes all harmful chemicals, viruses, toxins and bacteria from your drinking water, while preserving the healthy minerals and nutrients. The filters are followed by a UV light that removes any lingering contamination. The philosophy of Dunpar homes is founded on the concept of building great modern day communities. The idea started 25 years ago when Dunpar Homes began targeting industrial and commercial sites in the Greater Toronto Area for redevelopment and revitalization. The goal was to transform under-utilized real estate into vibrant new residential communities. Each revitalization site is carefully selected using a number of key amenity indicators such as the proximity of shopping, entertainment, grocery, highway accessibility, meanwhile maintaining an efficient distance to Toronto's city core. 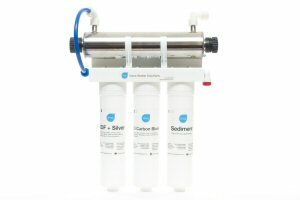 To view an image of the "Vera Filtration System," please visit the following link: http://www.marketwire.com/library/20120911-Vera_Filtration_System.jpg. To view the "Dunpar Homes Logo," please visit the following link: http://www.marketwire.com/library/20120911-Dunpar_logo.png. About this company Vera Water Solutions Inc.